Last summer I was listening to a long self-help book on MP3 – like 6 or 7 hours long – when late one night I decided to put my iPhone in the speaker dock and listen as I fell asleep. I figured I would get a couple minutes of go-go juice before passing into unconsciousness. What I had forgotten was that the MP3 files were set to repeat, and I wound up listening to the book the whole night through – and then waking up to hearing the same material, still playing. I thought that was cool, and repeated the process several nights in a row. After the third or fourth sleep session listening to this particular motivational book, one morning I realized I had woken up feeling totally optimistic and expecting to make good things happen. I attributed this good feeling to absorbing the message from the audio book while sleeping. I still do – understanding of course that my mind is mostly asleep during the night and that the message only got in at intervals – such as falling asleep, waking up and the several periods of the evening when my brain’s activity was above deep sleep. 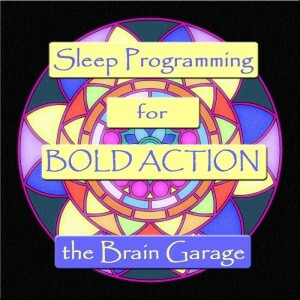 That’s how I came up with the idea of producing my own sleep programs, emphasizing short messages, repeated over and over, so that they would be easier to absorb and remember. I listen to the sleep programs we produce, several times a week, and am now in the habit of waking up earlier, more refreshed and optimistic about the day. Check out the sleep programs we have produced at our store and try a couple for yourself!